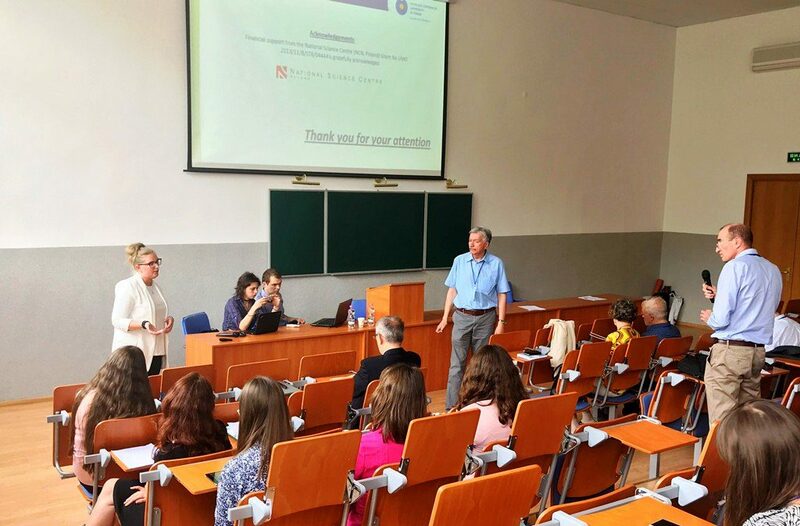 The 11th International Conference “Electronic processes in organic and inorganic materials” (ICEPOM-11) was completed at the University. Co-organizers were the Training and Scientific Center for Chemical Material Science and Nanotechnologies of the Precarpathian National University, the Taras Shevchenko National University of Kyiv, the National Academy of Sciences of Ukraine and the Institute of Physics of the National Academy of Sciences of Ukraine. According to the organizers, the interest of scientists in the research of electronic processes in organic and inorganic materials has significantly increased in recent years. There were 131 reports from domestic scientists and 45 reports from foreign scientists at ICEPOM-11. In particular, scientists and researchers from Azerbaijan, Lithuania, Poland, Turkey, France, Belarus, Germany, Belgium, the USA, India and China presented their reports and presentations of their own research. During the conference, special sessions were held on new materials and composites, including liquid crystals, polymeric and nanocomposites. An overview of the current state of research on new materials for solar cells and electroluminescent devices was reviewed in separate sessions. After the section sessions, a plenary session was held at which the participants discussed the results of the conference. The chairman of the international program committee Iryna Savchenko expressed gratitude for the support of the conference to the rector of the university Igor Tsependa, the director of the training and scientific center of chemical material science and nanotechnology Tetyani Tatarchuk and the leading specialist Natalia Paliychuk. The best reports of the participants will be published in the journal “Molecular Crystals and Liquid Crystals” (Taylor and Francis Group Publishing, Great Britain), which is indexed by the SCOPUS database.